Rest assured, your Harry Potter collection will be safe from any dark spells with the brightest witch of her age at hand. This itty bittys stylized Hermione Granger plush features Harry Potterâ€™s clever and brave Muggle-born friend dressed in classic Hogwarts attire with a Gryffindor tie and robe. 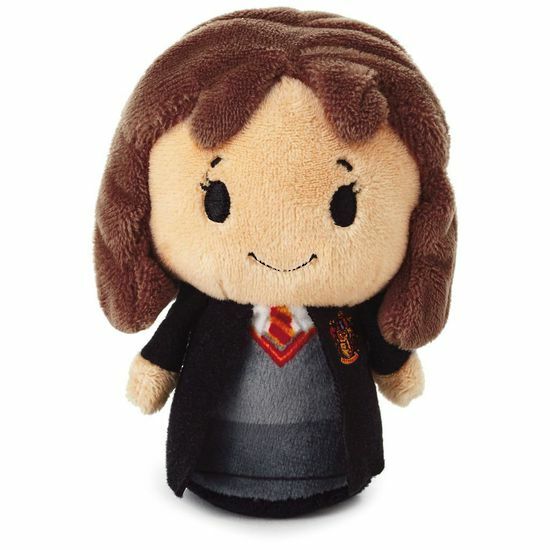 Hermione Granger itty bittys stuffed animal is crafted from soft plush fabric.